26 December 2018. The engineering trains involved in the MK works over Christmas were in the main stabled at Denbigh to the South of MK before entering the works site. Equally those trains that left the works site then stabled around Bradwell/Wolverton/Castlethorpe before heading back to Crewe Basford Hall. With the former Royal train shed behind her, 66519 stands at Wolverton with another engineers headed by 66571 ahead. 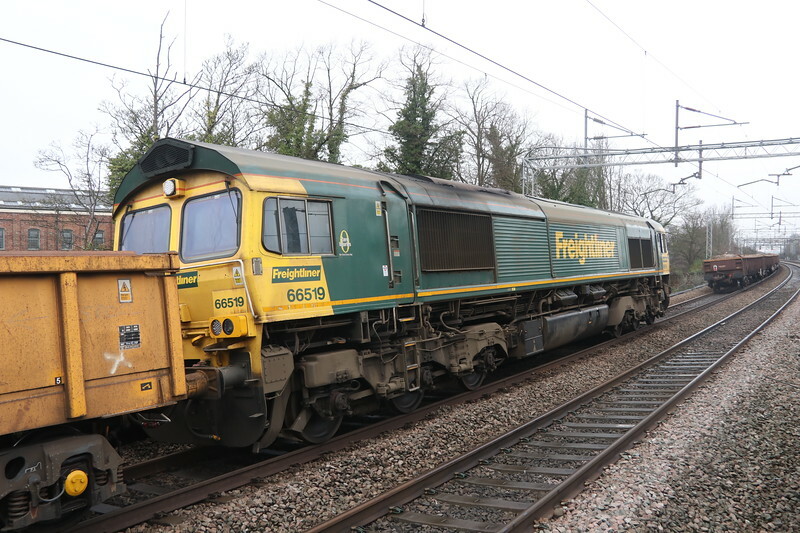 66519 had travelled South on 23 December as the 6Y52 1601 Crewe Basford Hall - Denbigh Hall North Junction.